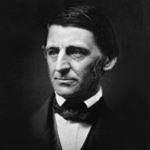 The journals of 1835-1838, perhaps the richest Ralph Waldo Emerson had yet written, cover the pivotal years when he brought to Concord his second wife, Lydia Jackson of Plymouth, published Nature (1836), and wrote "The American Scholar" (1837) and the Divinity School Address (1838). As he turned from the pulpit to the lecture platform in the 1830's, the journals became more and more repository for the substance of future lectures; his annual winter series, particularly those dealing with The Philosophy of History, in 1836-1837, and Human Culture, in 1837-1838, were drawn largely from materials contained in this volume. Along with lecture material, the journals of these years include Emerson's notes on his extensive reading, expressions of his griefs and joys, and his perennial reflections on man and his relation to nature and the divine. The birth of his son Waldo in October of 1836 compensated perhaps for the death of his beloved brother Charles the previous May. New friendships with Margaret Fuller, Henry Thoreau, and especially Bronson Alcott (whom Emerson called "the highest genius of the time") replaced to a degree the close intellectual companionship he had enjoyed with Charles. Printed here for the first time are the complete texts of these journals. They reveal the continuity of Emerson's development and add to the understanding both of his thought and of his methods of literary composition.